Painted Colorbond® range What's this? A base is an optional extra for your garden bed. It is made from laminated steel, and is useful if you're installing your garden bed on a paved or concrete surface. We drill some small drainage holes in the garden bed wall when we fit the base. Painted Colour – Where the true Colorbond colour material is not available, we spray paint the garden bed to match a Colorbond colour. Our spray paint is a long life acrylic finish, applied with a primer over the galvanised steel. Painted colour is an optional extra. 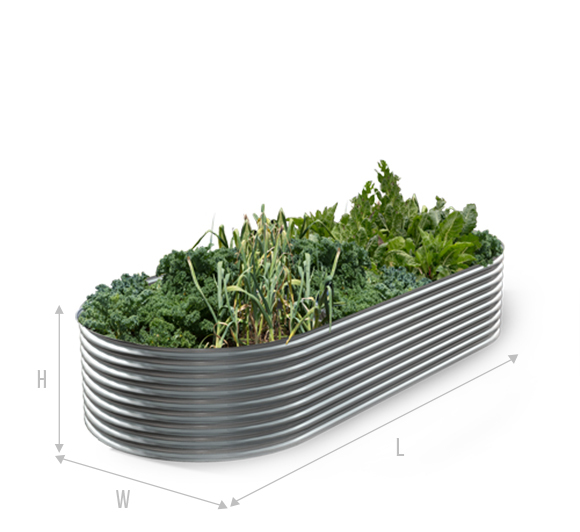 The slimline garden bed comes in three different heights. It’s AQUAPLATE® steel construction means it’s tough and you can customise the length, width, height and colour to suit your lifestyle. 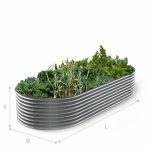 It’s height options allows you to grow plants, vegetation and flowers, making a statement piece in any backyard. Select from a range of Colorbond® colours. Subscribe to our newsletter for great gardening tips and news.